Collecting different figurines is a hobby of a lot of people. They can also be used for decoration purposes. Gift-wrap offers you two different types of animal statues. 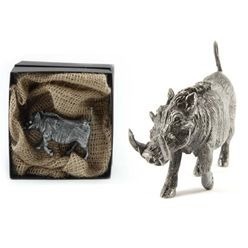 The first one is warthog statue that is made up of semi-precious metals. You can also get it engraved in different patterns. The next one is the statue of an elephant that is made up of the same material. You can order a minimum of 10 pieces for each animal statue. We all like collecting different figurines. Not only do they make great as small give away but are also good for decorating the workstation. You can keep them on your table or on a shelf. 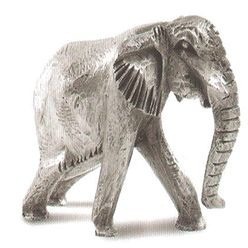 These tiny animal statues are made from semi-precious metals to give your statues a more antique feel. They come with a package box that you can always get branded with your company's logo and message to help it for promotional purposes as well. Give them out to your business associates or your clients and we at Giftwrap will help your business get a boost with these small animal statues.